JTC Corporation (JTC) has announced its 3rd Open Innovation Call, seeking robotics, automation and autonomous solutions. JTC is looking for technologies which could potentially address problems in infrastructure development and tackle challenges faced in building and estate operations. Proposals are invited for eight challenge statements under four main themes. JTC introduced the Open Innovation Call in June 2014 under its Industrial Infrastructure Innovation (I3) Partnership Programme. The objective is to boost industry research and support industry players in developing relevant innovative ideas to meet JTC’s needs. JTC aims to help participating companies reduce business risk involved and bring them to market by test-bedding in JTC’s buildings and estates, and defraying part of the development costs involved. Working alongside JTC’s engineers and operations personnel, companies will be able to test the viability of their solutions in a real-world environment. The proposals will be evaluated on the basis of 1) Level of Effectiveness (30%); 2) Feasibility of proposal for deployment in actual working environments (30%); 3) Potential to scale up and ease of implementation (20%) and 4) Capacity & expertise to undertake and execute the project (20%). Possible solutions for the problem statements under this theme would include the use of video analytics and sensors. They would also have to function continuously for extended periods of time, under difficult conditions. 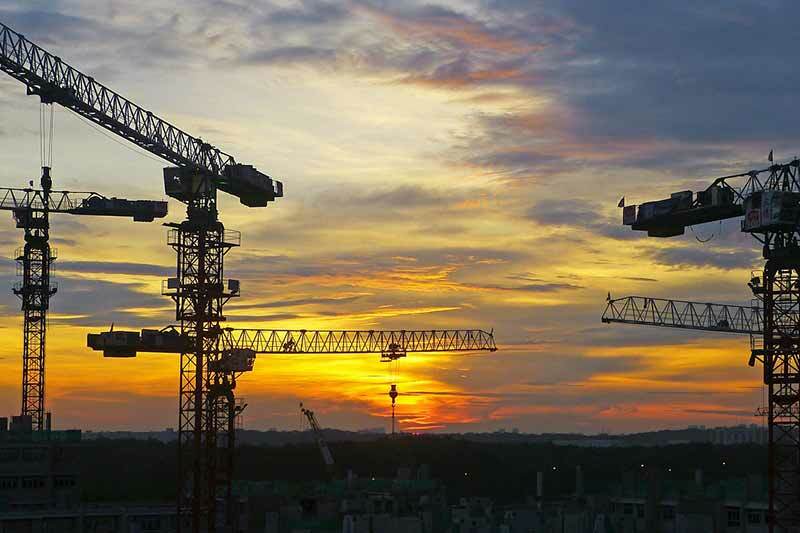 Site Safety : It is challenging for one Workplace Safety Office to oversee the entire site simultaneously and thoroughly even with the assistance of a CCTV system. The solution would be required to provide situational awareness of worksite safety such that pre-emptive alerts can be issued to workers if they are approaching danger areas, report non-compliance of safety practices, conduct survey with practitioners like project managers, site engineers/supervisors or WSOs, categorisation of findings from surveys and suggest suitable approach to resolve them using automation and prototyping of sensors or devices to demonstrate the functionality and ability to be integrated as one system. Excavation Works: Excavator operator juggle multiple tasks continuously including operating the excavator, which may cause the operator to tire easily increasing the risk of an accident occurrence. Solutions would be required to enhance current excavators to to perform tasks like conducting excavation works safely and coordinating with other similar construction equipment etc., without the need for the operator to be physically working in the cabin. Real-time site environment information would be required to facilitate safe navigation. Quantification of Construction Productivity: Quantification is usually done by manual counting/recording of number of workers entering and leaving the site and which is then later converted to man-days. Biometric counters have been used in some of JTC’s projects, to automate the counting of workers entering and leaving the infrastructure project sites. However, there are challenges because of the size of site areas and absence of specific points of entry. The data collected is not real-time and there is difficulty in differentiating the manpower deployed for different activities. The solution would be expected to address these challenges. Currently, static sensors (e.g. CCTVs for surveillance) are deployed and they are augmented by physical patrols and manual monitoring. Present security drones or robotics platforms tend to be operator controlled, relying on basic video analytics without sensor data fusion. Moreover, existing robotic solutions are optimised either for indoor or outdoor operating conditions exclusively. The platform shall be able to navigate pre-programmed routes and avoid obstacles with a high level of autonomy, accuracy and safety under minimal supervision by an operator to conduct patrol and surveillance, detecting incidents and providing alerts using analytics. The platform shall be able to communicate with existing infrastructure, such as elevators, doors, turnstiles) to facilitate access to building or estate premises. Using on-board sensors, the platform shall be able to gather high quality and standards complaint surveillance information in visual, audio and other forms for feedback to the security operations centre. By applying analytics tools on the sensor data at the edge or back-end, the platform shall be able to automatically flag out and generate alerts. The expectation is for high-level of analytics with machine learning capabilities and ability to detect advanced anomalies. Potential solutions could be automated boom lifts with robotic arms, drones with wiper, automated glass cleaner/wipers and auto cleaning windows/materials/surface. Pipes and ducts, usually installed in constricted spaces, are not easily accessible, thereby making it difficult to conduct manual inspection on a routine basis. Currently inspection only takes place when an issue is reported and fault tracing in complex cases can be time and resource consuming. JTC mentions crawling robots or mini drones with thermal/visual imaging functions to clearly locate and identify defects as possible solutions. Here, JTC is looking for completely autonomous solutions for industrial goods delivery. The system should be able to efficiently load/unload goods, including loose items / non-standardised cartons, from container-sized Automated Guided Vehicles (AGVs) planned within an estate-level underground road network system. Additional features would include on-demand delivery and retrieval service from storage areas and full accountability and guarantee of the goods’ security. The Open Innovation Call is open between 30 May 2017 and 31 July 2017.